A baby’s feeding journey changes so quickly – blink and it’s time for solids – luckily there’s the Twistshake range of super smart feeding accessories that grows with bub from milk to dinner. 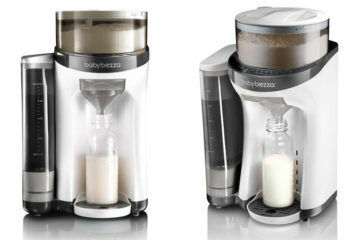 From first bottles and beyond, Twistshake has a huge range of clever baby bottles and cups with interchangeable lids and smart inserts that make bottle feeding a cinch. 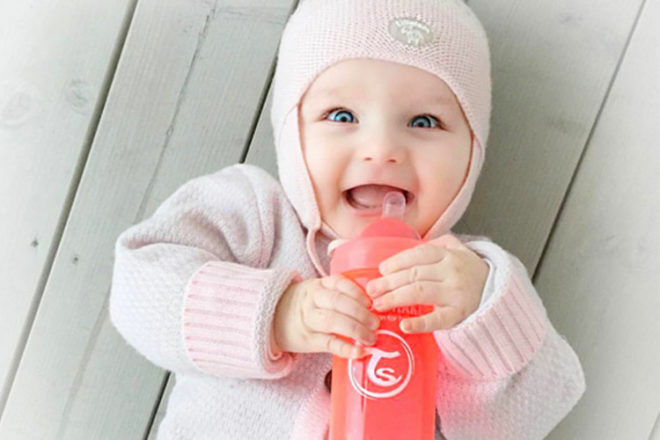 There are anti-colic bottles with a mixer net to remove formula lumps, no-spill cups with fruit mixers that infuse water with fruity goodness, every piece is crafted with easy feeding in mind. Busy mum Paula was given a set of baby bottles and feeding accessories for Ruby, her exclusively bottlefed six-month-old and Ollie, her boisterous four-year-old to test drive and review. A gorgeous range that’s easy to use and fuss-free for busy mums trying to juggle the feeding needs of their bubs and toddlers. 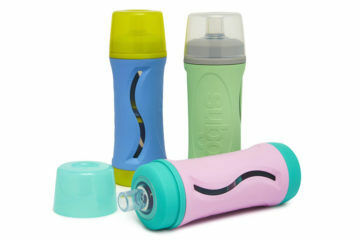 Choosing the right baby bottle is a hefty task, made a little easier when everything comes in a handy set. 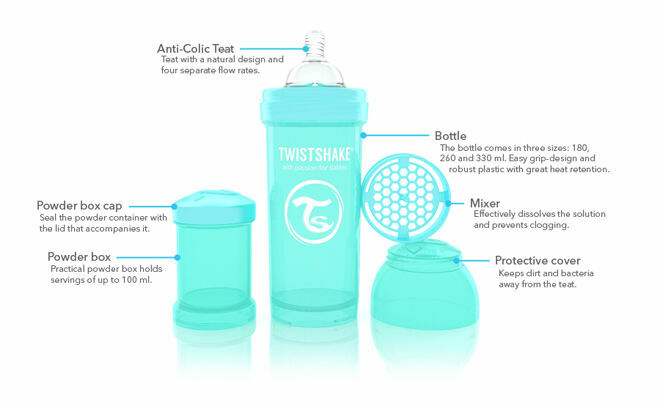 Twistshake’s Anti-Colic Bottle comes with a teat that has a natural design and four separate air flow rates. It’s easy to grip for bub and the handy mixer insert prevents and lumps in the milk. 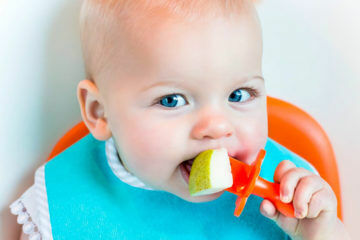 Coupled with the Twistshake Teether and Mini Cup, it makes for a fun journey through early feeding. 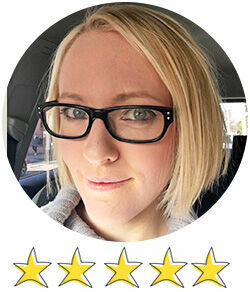 Here’s what Paula and six-month-old Ruby thought of the Twistshake baby range. The thing I immediately loved was that it doesn’t look like a traditional baby bottle. 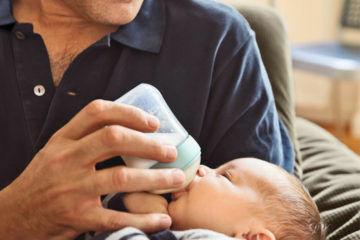 It’s a completely different shape to anything I have used before – but little did I know it was going to completely change the way my bub fed. Ruby never drinks much and doesn’t finish a bottle but I noticed on the first use that she drank more than usual and in a short period of time! It’s become the bottle I used for bedtime to make sure she is nice and full before putting her down. It also has an amazing mixing mixer net which helps dissolve the formula with less lumps. I am definitely going to get myself more bottles and phase out the others. The formula dispenser that comes with the bottle is also really handy and because the shape and size is so similar to the bottle there’s no powder spillage and it only takes one tip up and it’s all in the bottle. Trying to get the dregs out of a dispenser when you have a hungry baby is never much fun and this eliminates that. For night time I fill two and stack them up for really easy mixing when I am still half asleep. 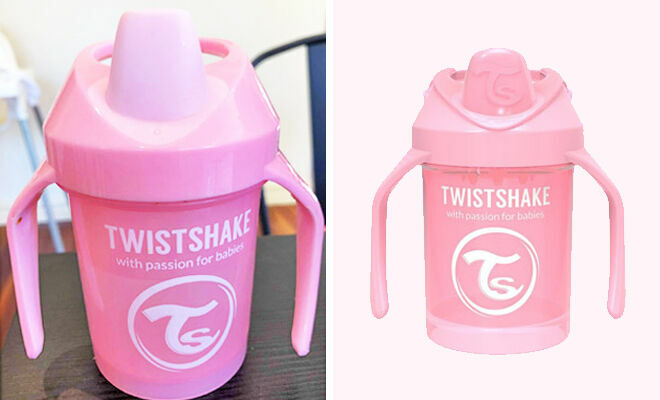 The Twistshake mini cup is easy to hold but requires a bit more suction and coordination than Ruby had when we first tried it. It’s taken some perseverance but she has finally got the hang of it and loves drinking from it. The curved handle design makes it easy for her to hold and I love how it encourages her to tip to towards her mouth. Now this is a fave of Ruby’s for sure. It’s so easy for her to grip and she loves chewing on it. She has just sprouted her first bottom tooth so it’s had quite the workout. She wasn’t a fan of it when I made it cold but it’s cool enough just as it is. The ridges give her gums a nice little massage which I’m sure feels great when they are sore. 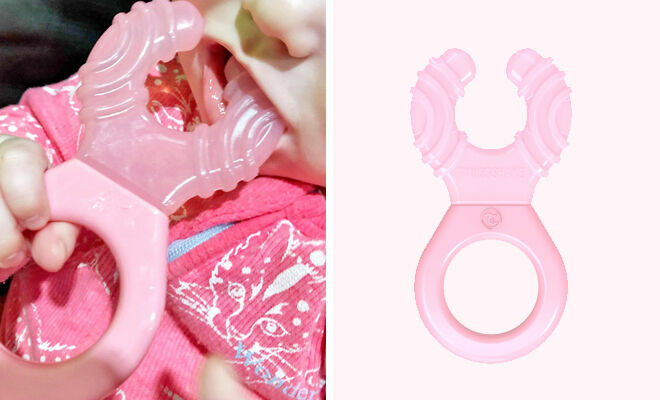 The Twistshake Teether goes everywhere with us! Little feeders become toddler foodies and it’s all about wanting to do everything independently. 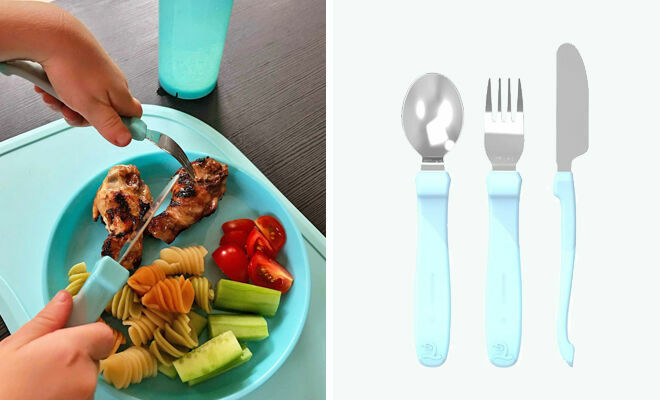 Twistshake’s toddler range includes divided plates so kiddos can keep their food separate, easy to use learning cutlery and plates and bowls that are held in place with suction and ingenious lids for storing leftovers. Here’s what Paula and four-year-old Ollie thought of the range. This has been so great for the days when Ollie is a little fussier than normal. I can fill the sections with a few different options and he tends to eat really well. 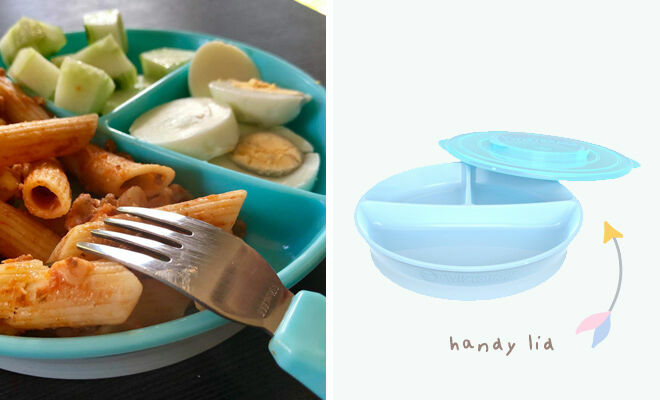 Being able to pop a lid on it too makes it a great option for lunches in the car while we’re on the go or for picnics. It’s also been great for bub as I can put her veggies, fruit and yoghurt in separate sections and only have one bowl to clean. 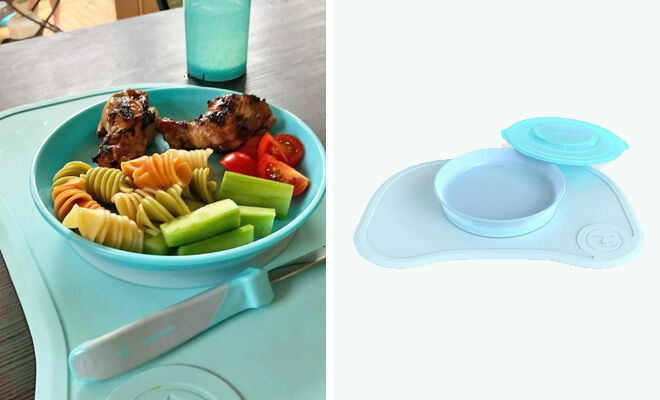 The anti-slip base of the divided plate is a godsend both on the bench and the high chair tray. 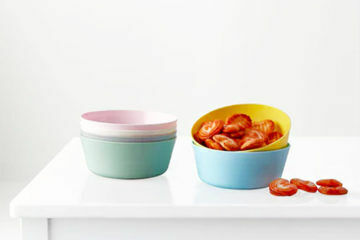 The option to stack the bowls thanks to the super cool TwistClick lid makes for really easy transportation and storage. Ollie is an independent little soul. Loves to spread and cut everything himself and the soft grip handles are perfect for his little hands. It’s really helped him to learn to coordinate the use of a knife and fork at the same time. I have also found that he holds them in a different way to any others that we have which shows me they really are teaching him how to use cutlery the right way without any intervention from me. He always asks for his ‘special blue big boy cutlery’. We had a lot of early family dinners over the Christmas break and Ollie loved setting his place with his special mat. It’s perfect on both the bench and the dining table and once it’s down doesn’t move at all but because it doesn’t use suction it’s really easy for me to remove. It’s a shame it doesn’t fit our Ikea high chair tray but that’s only because you can’t put a square peg in a round hole – the shapes just aren’t compatible. However, Twistshake does make the Click-Mat Mini, which is made for high chairs, and apparently fits an Ikea high chair perfectly. 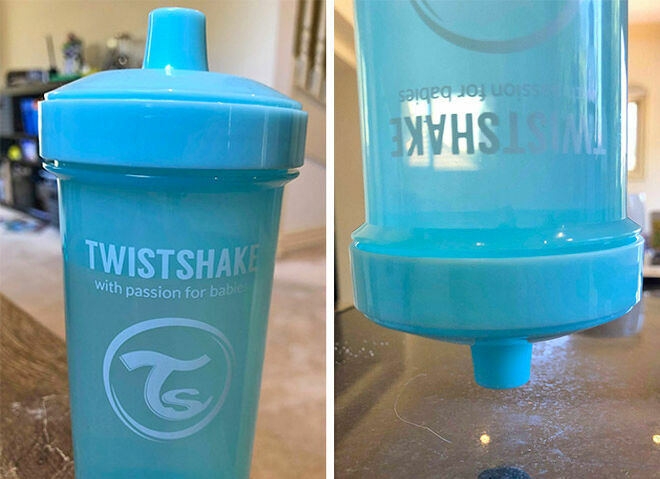 The Twistshake bowl and the divided plate also click onto the mat for even more flexibility. My favourite thing about the bowl is the lid. 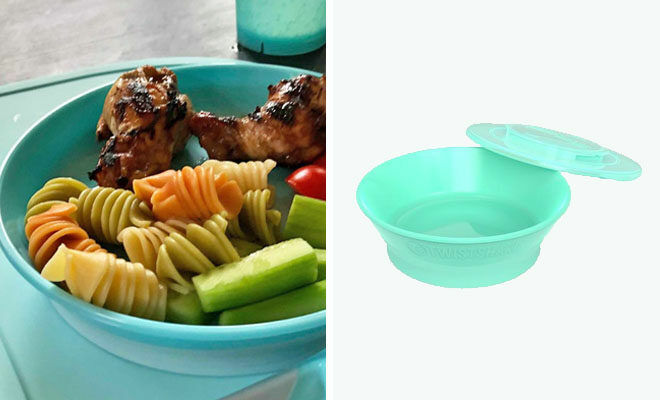 Great for storing leftovers and then Ollie can help himself when he’s hungry. Who doesn’t love cold pasta with nothing on it straight from the fridge? No extra containers needed and only one thing to wash.
I’ve fallen victim to so many leading water bottles in my time but this one hasn’t let me down so far. Once the lid is on properly that water doesn’t go anywhere. The lid is a little difficult for Ollie to remove himself but that’s only because it’s so secure. The mixing net meant he can have berries or lemon and lime in his water without any worries about swallowing and choking the silicone seal also means no spillage even with the lid off which is a huge tick for me. Even when it’s upside down it has to be shaken really vigorously before any water drips out which is a big win when a busy and distracted kid leaves it laying on the carpet or the couch while he runs off to play.